After a tiring climb to the top of Sacrée Coeur at Montmatre on a sunny, French afternoon, a generous helping of ice-cream seemed nothing like an indulgence. Extremely elated to find an ice-cream shop, all 22 of us queued up outside the shop. One of our students who was standing ahead of me, ordered his ice-cream and he asked the vendor, ‘Ça coûte combien?’ (How much does it cost in French). This, to me was a sign that the language immersion trip to Paris and Barcelona was going to be a successful one. 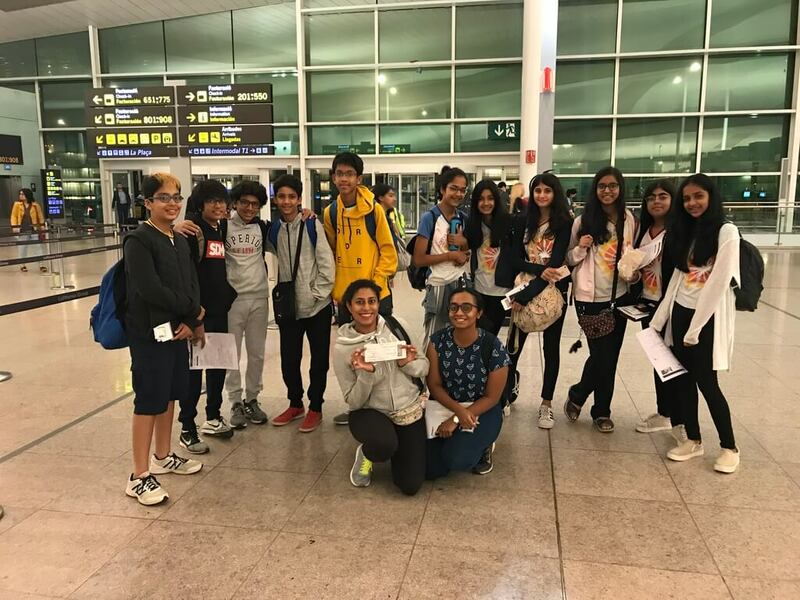 After over 8 months of planning in advance, the much awaited trip to Spain and France with two 6th graders and nineteen 7th grades finally saw the light of day. 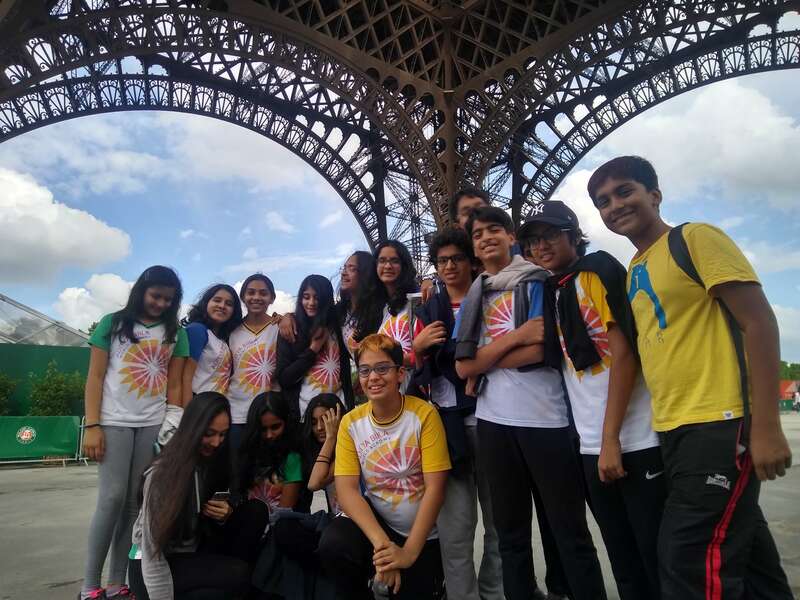 We left from Mumbai on the 28th of May and landed in Paris on the 29th, in the morning. We were received at the airport by Eddie, a blue-eyed man with a joyous and welcoming smile. He was our constant guide with a perennial smile on his face and teeming with enthusiasm, energy and always ready to take pretty photographs for us for the next 8 days. 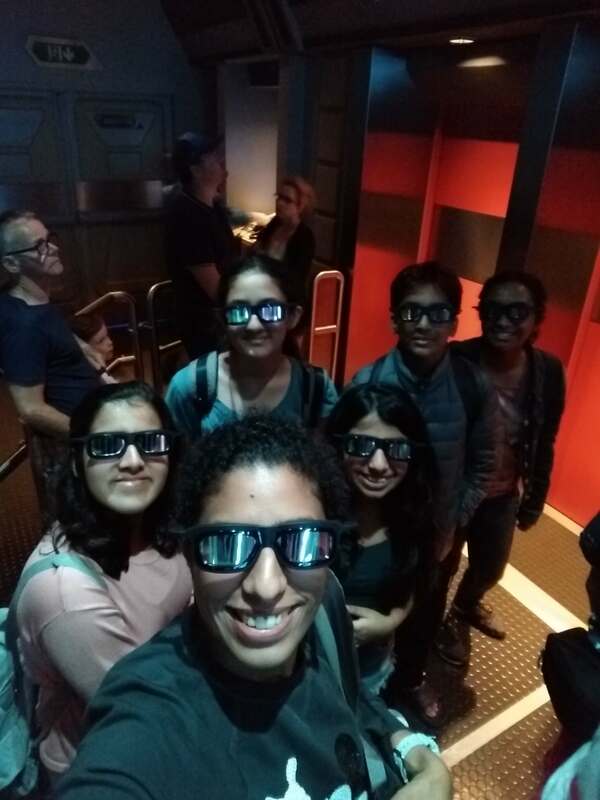 The entire ITS team of Fabien, Eddie, Florent and Ieva made the trip exceptional, making the movements around the cities comfortable, arranging for excellent school experience in both France and Spain and kept the students interested by organizing treasure-hunts and other activities. We, as teachers, owe the success of the trip to the students. 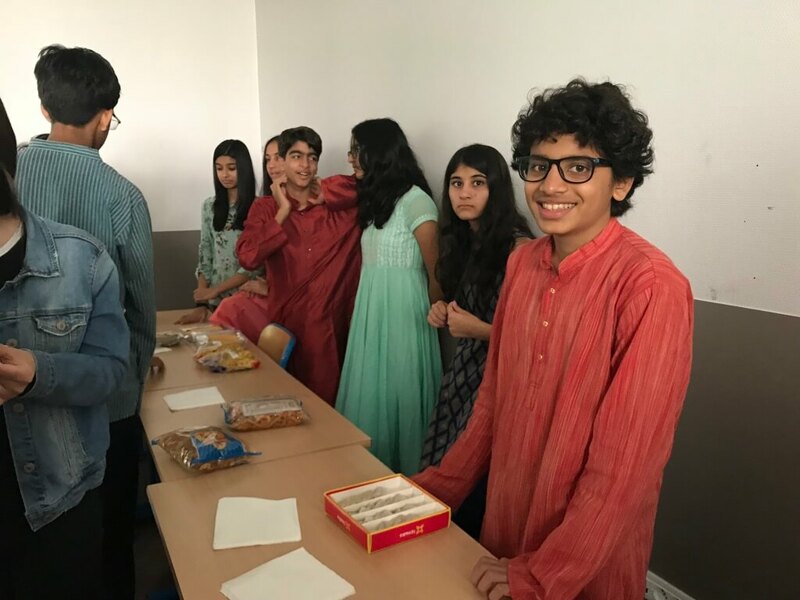 They were well-behaved, followed all the instructions and participated with a great deal of enthusiasm in sports and various other activities in both the schools. It must be mentioned that the sports teacher in the school in Barcelona complimented our students’ exceptional skills in sports. 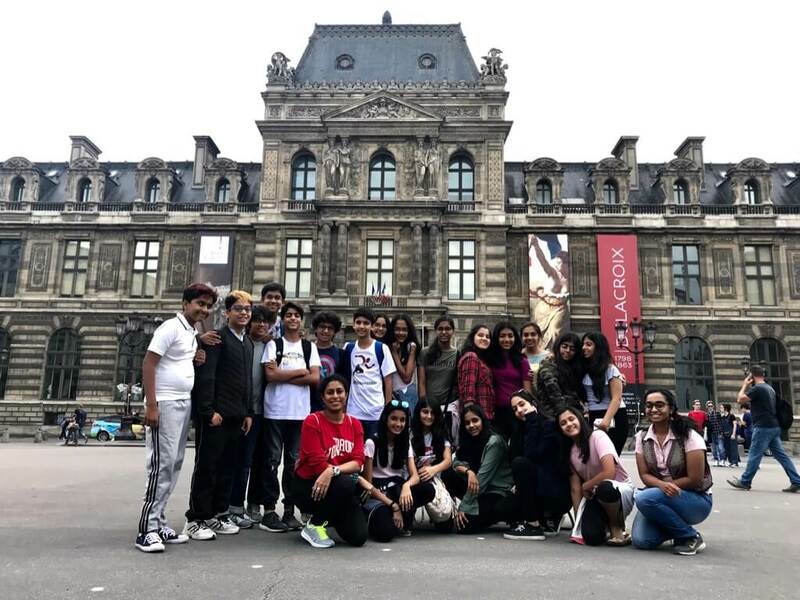 Furthermore, our students used their knowledge of French and Castilian in Paris and Barcelona wherever they found an opportunity to do so. In fact, a lot of students were making an effort to learn words in both the languages. What made the trip memorable and successful for the students is best expressed in their own words. The trip was a very unique one that was both fun and educative. 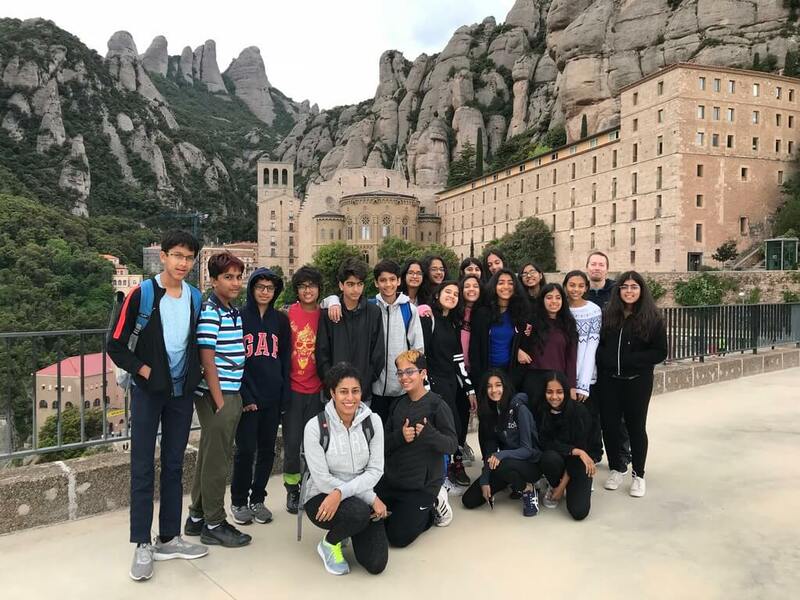 What we learnt in this trip can never be learnt anywhere else as we got to understand the lifestyle of the French and Spanish people and how it is different from ours. There were a lot of challenges on the way but those just served as new experiences for all of us. Visiting the French and Spanish schools made me realize how difficult it can get to communicate with someone else, especially if you don’t know their language. Though in the Spanish school it was easier to communicate, the French school had more people speaking English. Another thing that was evident is that sports bring people together, no matter what language you speak or where you are from. For example, when we went to the French school for the first time, it was a little awkward until the short break, as I couldn’t speak their language. However, after a game of basketball with them, I felt totally comfortable around them. The monuments helped me realize how rich the history of Europe is and how they are so proud of it. I realized that art and music can bold such deep meaning in the culture of a place. However, the best part of the trip was Disneyland Paris as it was a whole new experience for me. Though I was scared, I forced myself to go in the roller coasters and eventually thoroughly enjoyed them. Another valuable thing I learnt from this trip is that to have to use your money judiciously and not just buy whatever you like. In general, this trip was very informative and we got to look at a country from a totally different perspective. 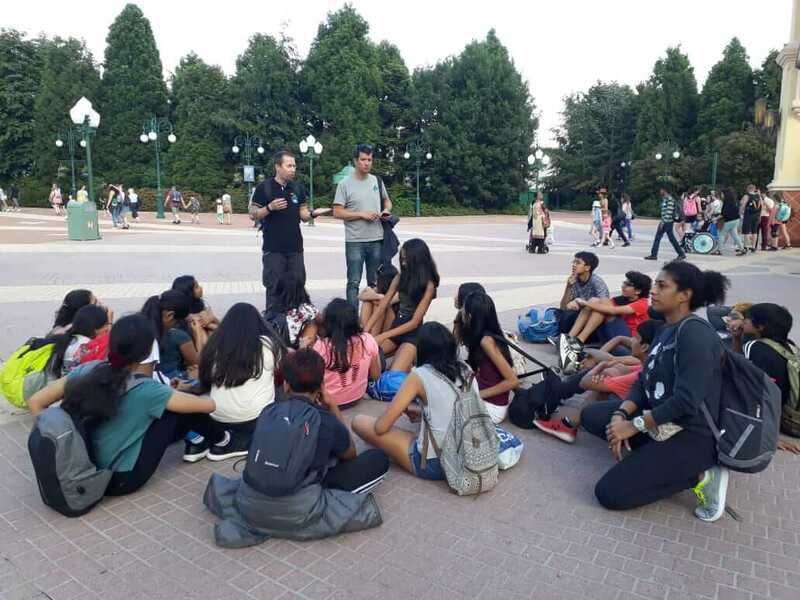 Our language immersion trip of 2018 was one of the best experiences I have had with our school. The cultural exchange broadened our knowledge by miles. The students present in both the Spanish and French school were welcoming and warm towards us showing us everything in their schools. Along with the school visit, sightseeing and shopping was one of the major plus points. The detailed architecture and sculptures in the Sagrada Familia was astounding. 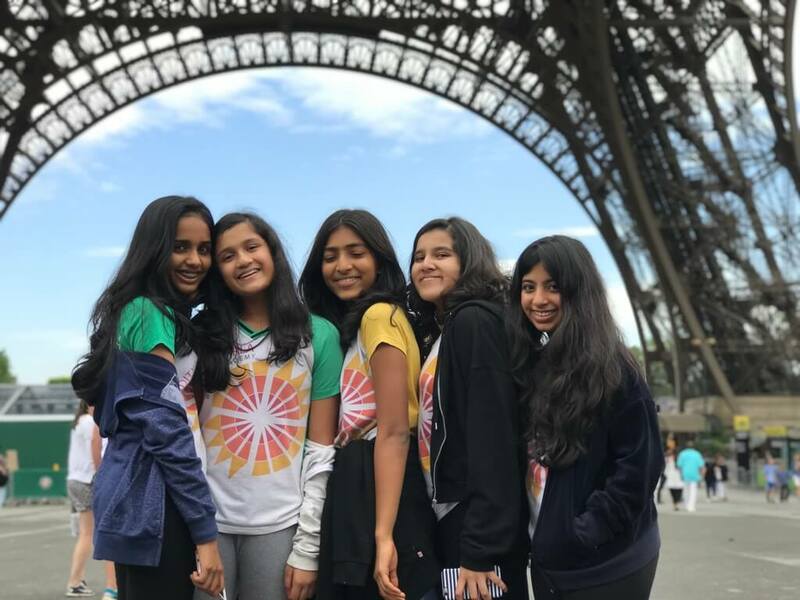 Going to the Eiffel Tower was one of the most fun and was the highlight of the trip as the view was something you can never find anywhere else. Going to la Roca village in Spain and shopping was great fun with or friends. Pushing myself to get on rides in Disney which were far away from my comfort zone challenged me to face my fears. Spending time with my friends in a new place and learning to manage and spend my money wisely helped me see how the real world is. 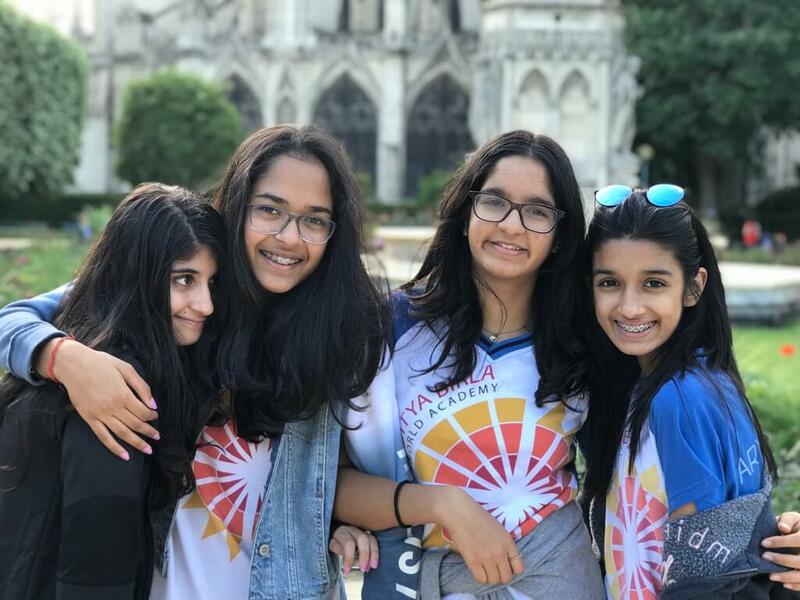 Some of the challenges I faced were in France when I had not a single clue on how to communicate with the French students as I did not speak French and their English was not very fluent whereas in Spain, their English was more fluent and I could talk to them in Spanish. You could also see how the different European schools are and how the way they learn is different. In conclusion this trip did me wonders. The things I learnt and the things I saw were new and different. The trip helped me in ways I didn’t think it would. I would love to go for a trip like this again to learn more and see different cultures over the world. My experience on this trip has been very memorable. I faced quite a lot of challenges and made a lot of memories. I am so grateful for the opportunity that I got to go on this trip. I've learnt so much about a lot of things. I have definitely grown more independent on this trip. It was my first time travelling out of the country by myself without my parents and I was super anxious but I have managed well and I'm proud of myself. My most favourite part was definitely making friends in both the schools. I'm usually a very quiet person and have trouble approaching people but I've definitely become more open and vocal than before. 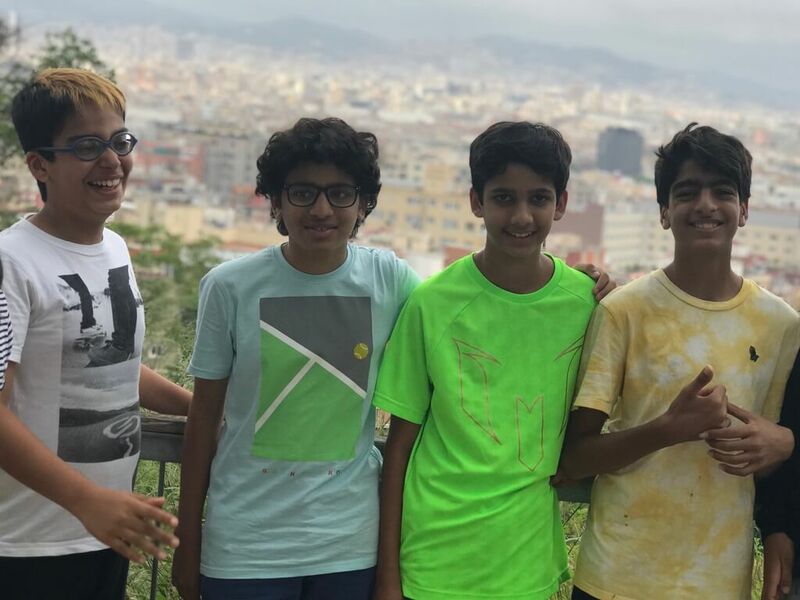 I made many new friends who liked the same boy band as me (BTS) it was definitely an interesting experience. I had approached people very shyly and when I discovered they liked BTS, all of us were shouting and screaming at each other with excitement. It was fun meeting people with the same interests as me in other countries. Visiting the different sites was an amazing experience. It made me realize how big the world is and how little do I know about it. I was very excited for all the different monuments and I was not disappointed. 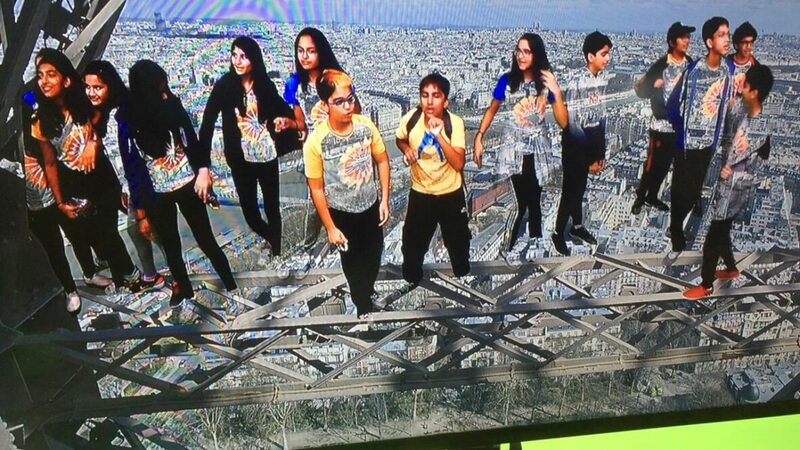 My favourite was the Eiffel tower. The view was breath taking. All the challenges I have faced have been worth it. I would not take back anything that happened. I've just had such an incredible time. I feel as though it's been too short. But I'm glad to go home. I love travelling and this has just increased my love for it more. I hope to have more amazing opportunities like this in the future. In the end, I would like to thank all our guides and out teachers. Without them this trip would not have been possible and so amazing.